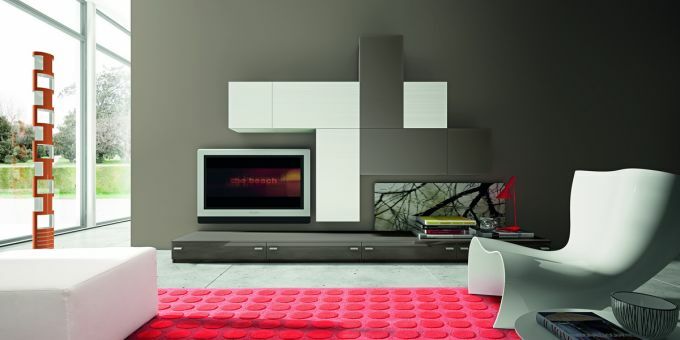 Design and open spaces.The sliding door open the space dedicated to the technology of entertainment. 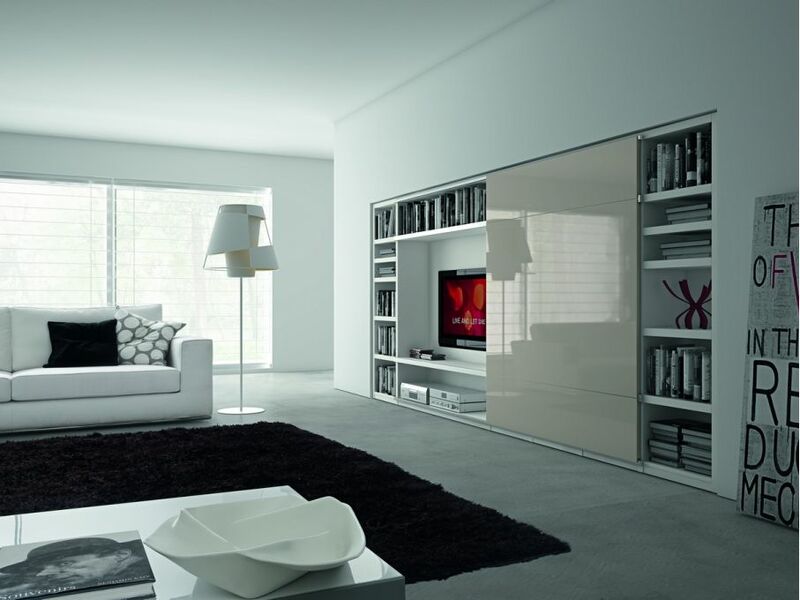 Structure milk white, sliding door smoke grey glossy lacquered. 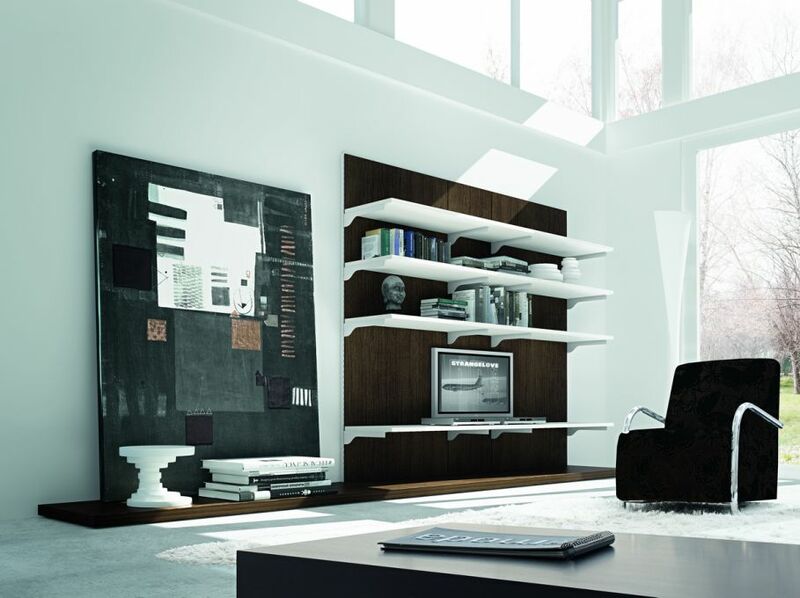 The sliding door’s movement create new volumes. 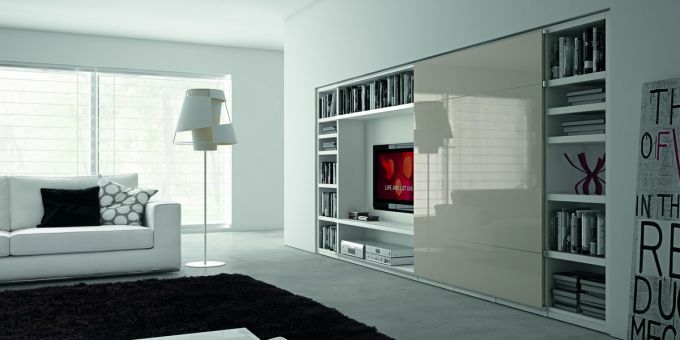 Structure milk white, 3 sliding doors lime grey glossy lacquered. 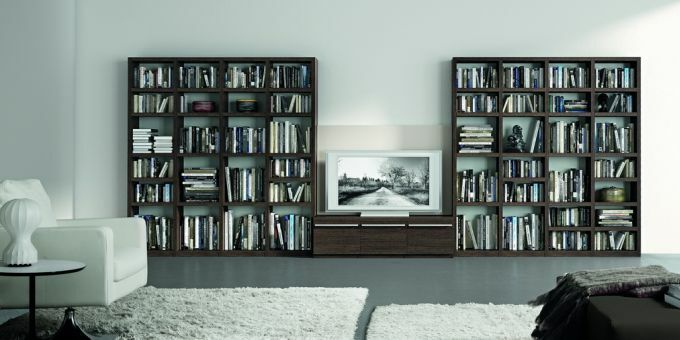 Shelves support to the wall panel, base unit for dvd with sliding door. Base unit structure black matt lacquered, work top and fronts black glossy lacquered. 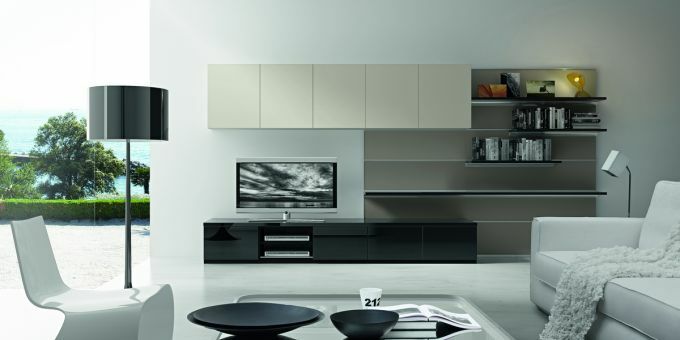 Paneling smoke grey matt lacquered shelves black glossy lacquered, wall unit structure lime grey matt lacquered, fronts lime grey glossy lacquered. The pleasure to be home. 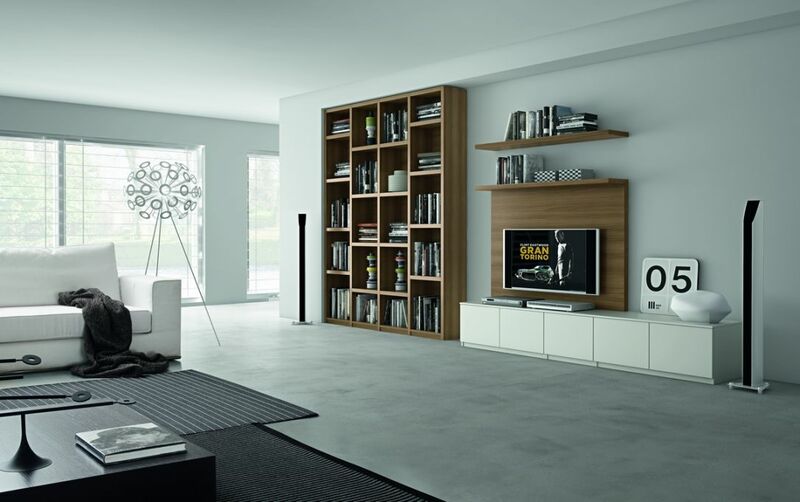 The plus collection offers shelves that can be positioned as desired. Structure work top and doors white milk, tv unit shelves and library walnut. Play with colors and finishes to fly with your creativity. Base unit structure smoke grey matt lacquered, fronts and worktop smoke grey glossy lacquered, wall units structure smoke grey matt and milk white, fronts smoke grey matt and brushed white. Practical and useful the open units with lights. 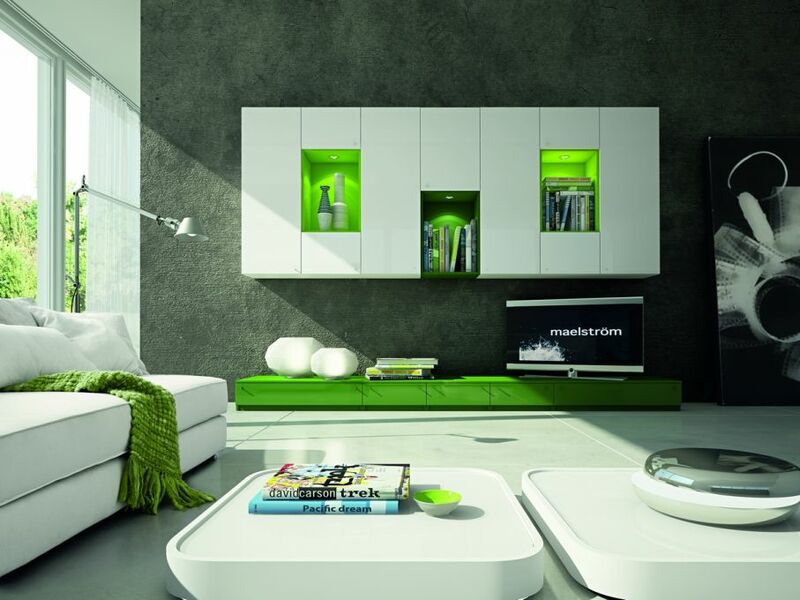 Base unit structure grass green matt lacquered, fronts grass green glossy lacquered. 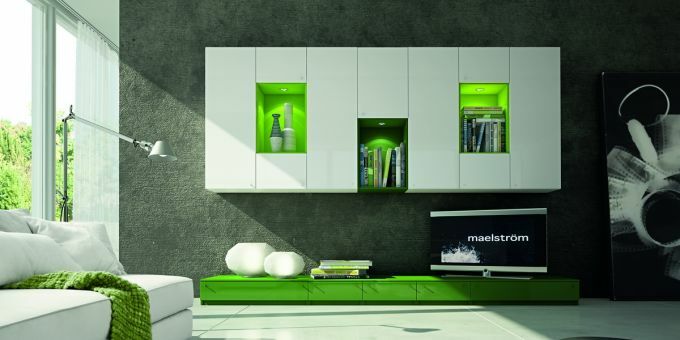 Wall unit structure milk white bud green matt lacquered grass green matt lacquered, fronts milk white glossy lacquered. Tv panel interspaced for cables. 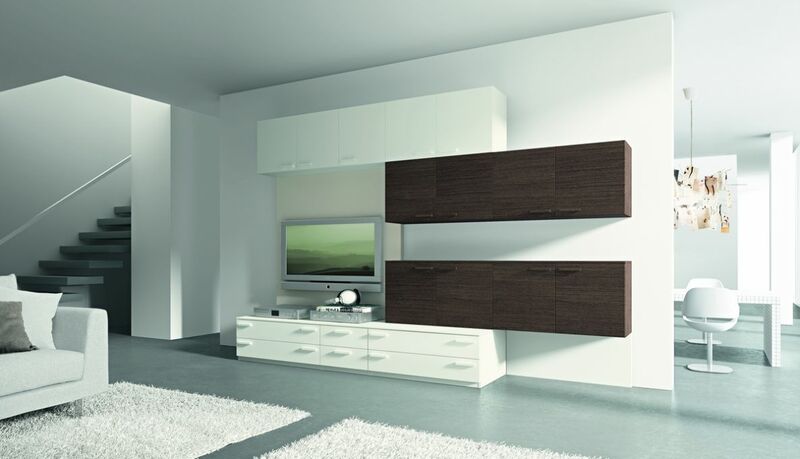 Base unit structure and fronts dark oak, library structure dark oak, tv panel lime grey. 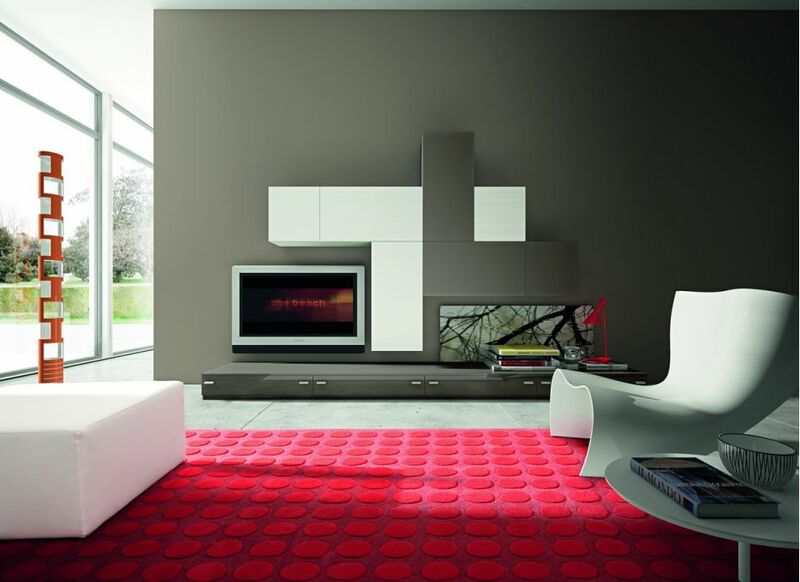 “Cremagliera Living” is a flexible and strong paneling system. 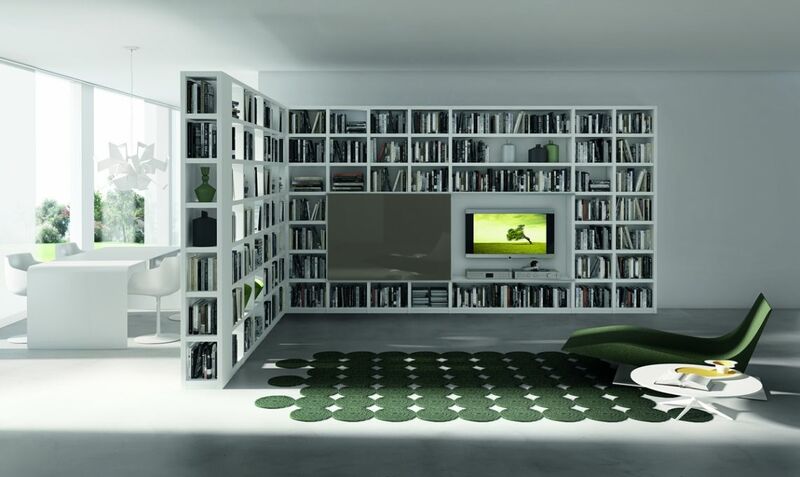 The suspended shelves can be positioned anywhere. Baseboard and panel dark oak, shelves white milk. Dark oak and traffic yellow a color match with character. 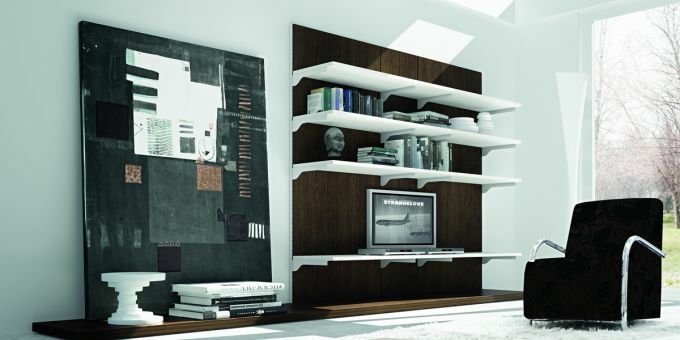 Base and wall unit structure traffic yellow matt lacquered, front and work top traffic yellow glossy lacqueredlibrary, structure dark oak, front traffic yellow glossy lacquered. 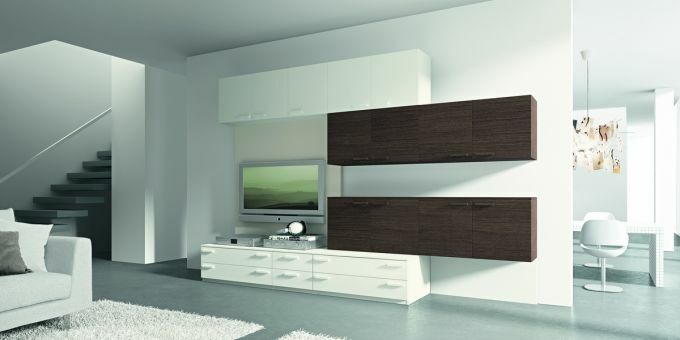 Wood or color in the collection “Living” for sure there is a solution for your home. 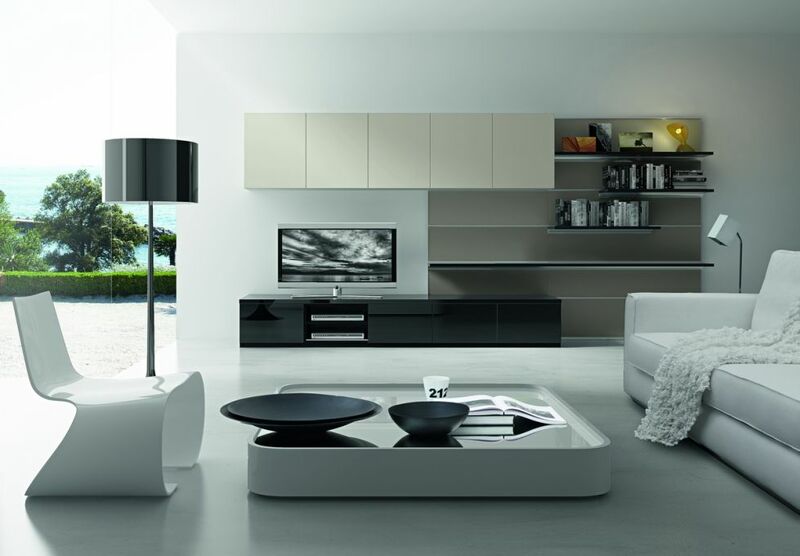 Base and wall unit structure and fronts white milk,wall units structure and fronts dark oaktv panel lime grey matt lacquered.